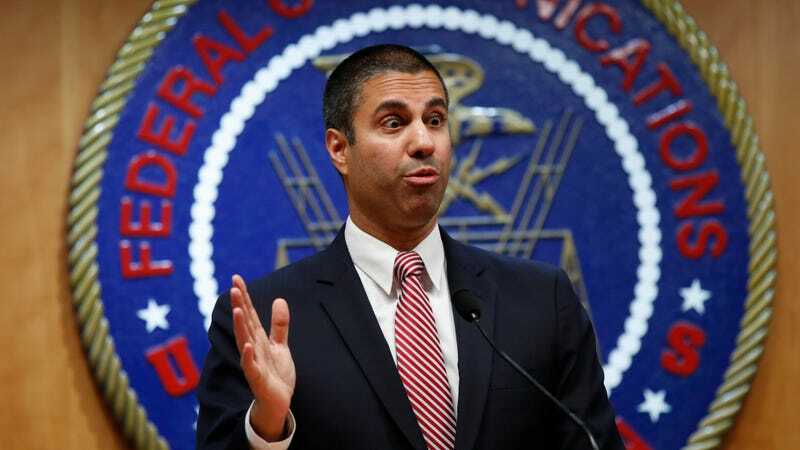 Under the tenure of its new Donald Trump-appointed chair Ajit Pai, the Federal Communications Commission recently revoked Barack Obama-era regulations mandating service providers abide by net neutrality rules. But on the way there, the agency had to overlook millions of allegedly fraudulent comments submitted to its Electronic Comment Filing System—likely corrupting one of the only methods for the public to make its voice heard during the rule-making process. Now, the Government Accountability Office has said it will investigate the “possibility of fraud and identify theft” in the public comments on the FCC’s decision to eliminate the net neutrality rules, TechCrunch reported on Tuesday. But there’s one major caveat: It won’t do so for five months. The delay isn’t necessarily the GAO’s fault (it’s long been underfunded) but it is a noted contrast to the way Pai’s FCC barreled through the rule-making process to repeal net neutrality. It’s not at all certain that the GAO investigation will actually change anything, unless the agency rules that the FCC’s flippant handling of the matter violated the Administrative Procedure Act, per TechCrunch. Even in that scenario, undoing the net neutrality rollback is far from a certain outcome and probably one of the less likely ones. The GAO is separately investigating contested claims the FCC suffered a distributed denial of service attack at the same time comedian John Oliver asked viewers of his show Last Week Tonight to submit comments on May 8th, 2017. The FCC has has not publicly provided any evidence to back its allegation of a cyber attack, and it seems likely the crash had more to do with a sudden surge in traffic on the dilapidated ECFS system. Since the possibility that the GAO will step in and undo the mess Pai and his fellow Republican commissioners have caused seems low—and it won’t even begin investigating for some time—the best challenge to the unpopular net neutrality rollback remains a possible congressional fix. However, such a proposal seems unlikely to pass in a unified Republican government. Other possibilities for intervention include several lawsuits being prepared by tech companies, though the odds aren’t looking particularly great there either.